Whipped Cream Cheese Frosting is a frosting that is rich and creamy and yummy on carrot cakes, red velvet cakes (as pictured above), banana cream cakes, and so many more. 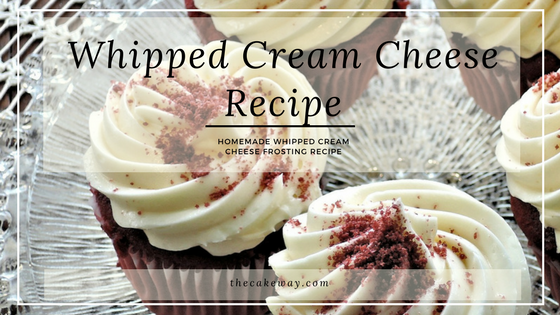 I am a fan of cream cheese frosting because it brings out the flavor of any cake and yields a frosting that isn’t overly sweet. These instructions are so easy, just mix all of the ingredients until well mixed. You can decrease or increase the powdered sugar to adjust the sweetness. This recipe can also be adjusted to your likeness; for example, to add as a frosting for an apple cake simply add a dash of apple pie spice or for a pumpkin spice cake, simply add a dash of pumpkin pie spice. 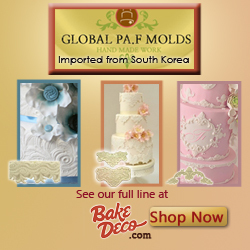 This recipe pipes beautifully for cake decorating, however, you may need to adjust the amount of powdered sugar or liquid appropriate for the piping tip and design that you’re going for. I know that you will enjoy making and adding this delicious frosting to your cakes, I’d love to hear how it turned out; please comment below and let me know. Place cream cheese and vanilla in a mixer with milk on low until smooth. Add in the whipping cream and powdered sugar on high scraping the sides occasionally until stiff peaks form. I recently shared a Cake In A Jar Recipe that is super easy and so personal. You can’t go wrong with serving this treat at your next event! Another favorite is my Easy Peanut Butter Buttercream Recipe. This recipe was actually inspired by my nephew who is an AVID lover of all things peanut butter. If you have a relative that loves peanut butter, try this buttercream on your next cake and comment below to share! Need a cake to spread the Peanut Butter Buttercream onto, try this Yummy Fluffy White Cake. I’m sure that this will be your favorite go-to white cake recipe. It is super moist, fluffy, and good. Bakery quality from your own oven!